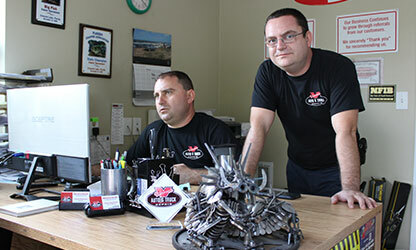 Vinnie’s Auto & Truck Repair has been servicing Palm Beach Gardens and the surrounding areas since 1993. We are a full service, ASE certified auto repair shop. We service both domestic and foreign vehicles. We also service light- and medium- duty trucks, trailers, and equipment. We provide maintenance and repair for companies with small, medium, or large fleets. Our customers are important to us. We strive to give each and every customer exceptional and trustworthy experience. It is our goal to give you dependable service, competitive prices and honest work that will keep you coming back for all of your auto repair needs. Choose Vinnie’s Auto & Truck Repair. We guarantee you won’t be disappointed.